It is fine weather, temperature is 19 degrees, south wind 1 knot. Cape Futtsu is located in the entrance of Tokyo Bay. 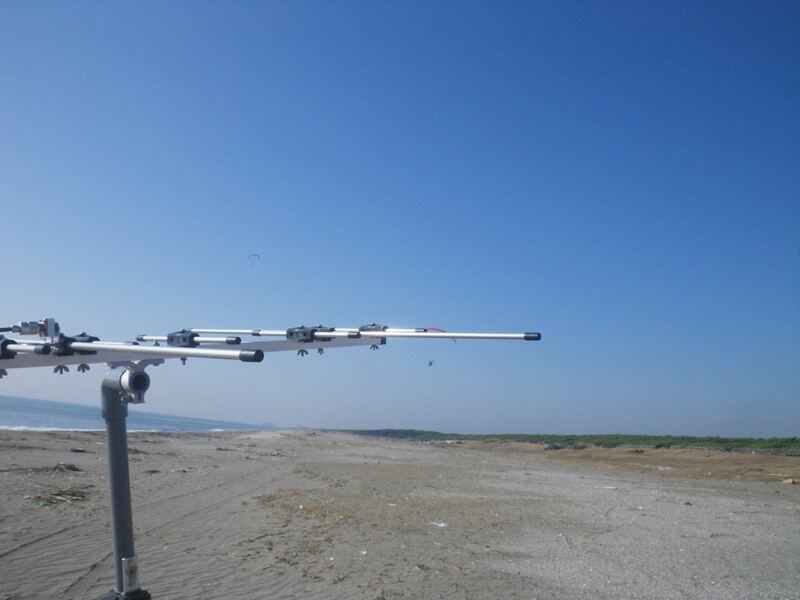 I tried the latest FM satellite AO-91 from Cape Futtsu.And 2 QSO (JA6 and JA1). Sometimes I could not hear it in QRM.I heard Russia(UA0), Korea and China, too. AOS is around 12:38, I eat lunch and wait. A motor paraglider flew away. It was like the spring weather on the day, In Japan, the temperature is rapidly changing up and down.but today it will become less than 10 degrees and it will become colder and colder.